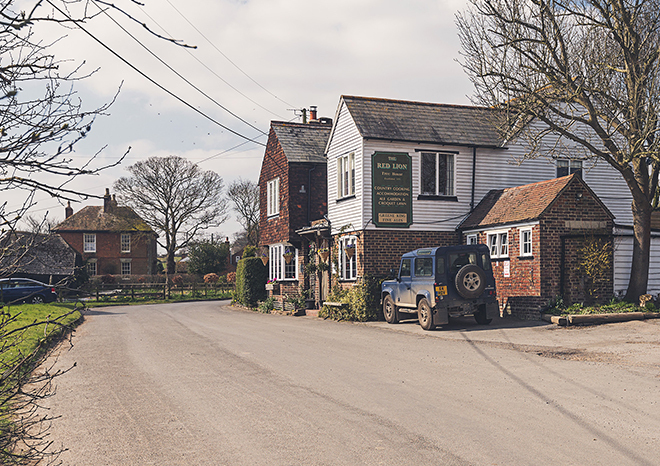 Since new owners moved in on 1st February 2018 The Red Lion at Stodmarsh is becoming the perfect country pub to enjoy delightful food together with fine wines and local beer, ales and cider. Super food and ambiance!!!! Sticky Toffee Pudding is the best!!!! Looking forward to seeing you soon. I am NOT prepared to mention you to others. It was difficult enough making a booking without letting other random characters, who may not apreciate your excellent food, know of your existence. Undoubtedly the worst meal we have ever had. What a rip off. Then to ask us to vacate the table by 9.00 when we waited over an hour for our main course, What a nerve !! The Red Lion has long been a favourite pub and it looks as if it's in good hands now. The menu is imaginative, but not pretentious and the food is well prepared and presented. The prices are realistic, unlike some other local pub restaurants, which have started to charge central London prices. The wine list was similarly sensible. All in all a thoroughly enjoyable evening. A lovely evening spent amongst very welcoming and engaging staff. Menu uncomplicated. Choice of food combinations wonderfully creative. Open fire. Cosy atmosphere. Will be back! Food was lovely service was good. Just a tip if the meals don’t come with sides or veg or salad maybe ask when taking order if customer would like any extras. Great food, fantastic staff. Made us feel welcome and valued. Especially loved the interaction the staff made with our kids. Best pub in the country without a doubt. 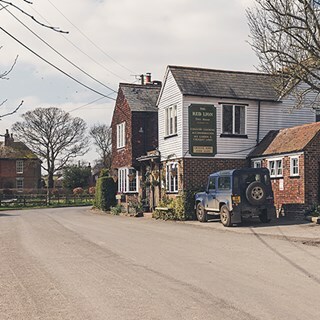 Every time we visit The Red Lion it is an absolute delightful experience. The food is amazing. Yes it is a bit more in price than your average pub, but this ain’t pub grub. Top top top quality ingredients and presentation. The staff is so attentive and  yet super friendly. Nothing is too much trouble. We can’t wait to be back. We visited The Red Lion on a Saturday lunchtime in a large group. We had a lovely lunch in the garden which is beautiful and great service given the number of people in our group. We had been walking for nearly 3 hours and we're warmly greeted. Service was really friendly and efficient. Food was excellent - great Sunday roast, some of the best gravy I have ever tasted and great meat and veg - really well cooked. Serving the roast potatoes under the meat made them lose their crispness a bit and the cauliflower cheese pot had overboiled cauliflower and not strong enough cheese - this may just be my taste / preference, but minor worries in what was overall a fabulous Sunday lunch. We had another delicious Sunday lunch with you. The Romney marsh lamb was delicious and the Yorkshire pudding spectacular! I always recommend you to my friends. Thanks for being a wonderful pub!